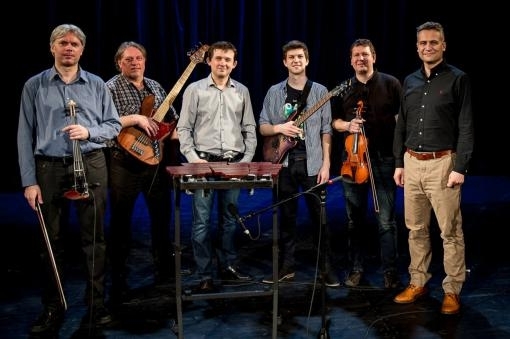 Musica Folklorica is to perform in Brno’s Metro Music Bar. In the first part of the concert they will play pieces from their repertoire and in the second half of the programme they will be presenting songs from the album Smrti, milá smrti, which is being christened that evening. Martin Hrbáč will be performing as a guest. The album Smrti, milá smrti (Death, Sweet Death)is being issued by the publishers Indies Scope. It is the last part of the extensive Anthology of Moravian Folk Music project. The first four parts of this anthology had the aim of focusing on individual musical regions of Moravia and their specifics. These were followed by thematic parts focusing on love and wedding songs, Christmas and also recruiting songs. The completion of the whole project, which presents a total of 234 compositions, culminates in the fourth thematic part and eighth album with the title CD 8 - Smrti, milá smrti. The album will be presented in Brno by Musica Folklorica together with Martin Hrbáč. The concert together with the christening of the album will take place on 6 September 2018 from 8 p.m. in Metro Music Bar. From the first part of the anthology Indies Scope has attempted to reflect the current form of folk music-making. From the beginning it was oriented on various Moravian folk regions, a representative selection of groups and singers who are significantly contributing to the preservation of an authentic form of musical tradition in the given area. The project progressively expanded to include four thematic parts and this year was completed by the album Smrti, milá smrti.